Staff Sgt. Tanner Apple, 309th Aircraft Maintenance Unit dedicated crew chief, was awarded the Thomas N. Barnes award Aug. 13, at Luke Air Force Base. The KC-46 Pegasus program achieved an important milestone July 6, 2018, at Boeing Field, Seattle, with completion of the final flight tests required for first aircraft delivery planned in late October. Lt. Col. Daniel Finnegan, Vermont Air National Guard’s 158th Fighter Wing plans officer, was presented the Koren Kolligian Jr. Trophy by Air Force Chief of Staff Gen. David L. Goldfein at the Pentagon, June 25, 2018. 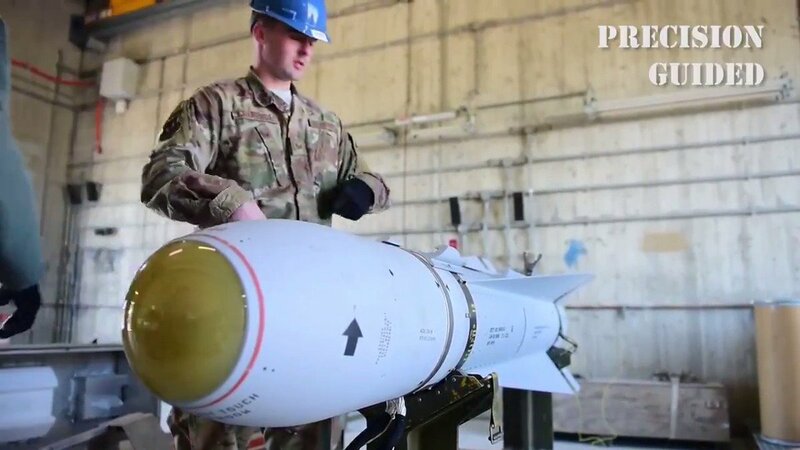 A team of U.S. Air Force engineers, test pilots, and Norwegian government and industry personnel recently completed a large phase of testing for the Joint Strike Missile. The JSM is Norway’s advanced anti-surface warfare missile designed for the new F-35A Lighting II’s internal weapons bay. The missile can be employed against sea- and land-based targets. Norway is a partner nation in the development of the fifth-generation Joint Strike Fighter. A pilot strides forward, his green flight suit a stark contrast to the pale blue of a desert morning sky. An insignia, circled in gold and donning a sheep with a wool coat black as night, is stitched atop his right breast. 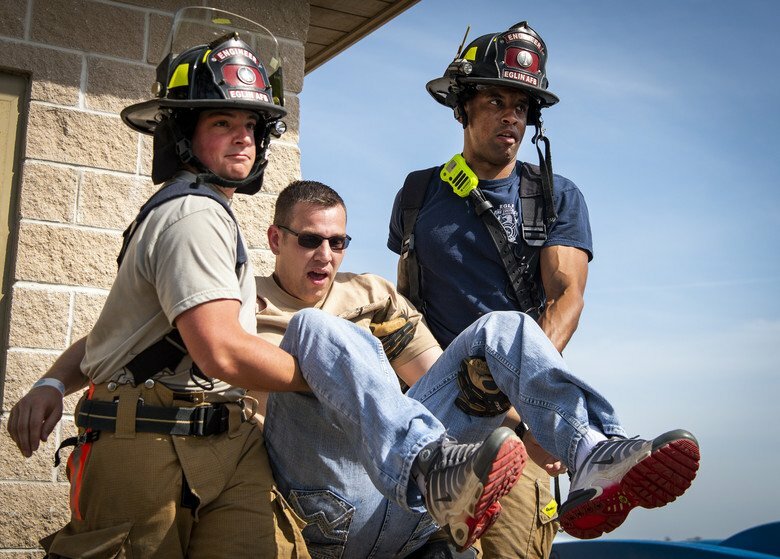 He hikes up a ladder, hands gripping steel and hops into the cockpit of an F-16 Fighting Falcon. The Black Sheep have returned. Four Air Force fighter jets practiced for the inauguration flyover at Joint Base Langley-Eustis, Virginia, Jan. 19, 2017. Two generations of fighter aircraft are scheduled to fly in a close formation during the inauguration of President-elect Donald J. Trump at the capitol in Washington, D.C., Jan. 20, 2017. On this look around the Air Force, promotion statistics are released, the U.S. Air Forces in Europe and Air Forces Africa commander emphasizes the importance of a well-trained force, and a F-16 Fighting Falcon fighter pilot’s remains are returned home. Hosted by Airman 1st Class Cory Kuttler. 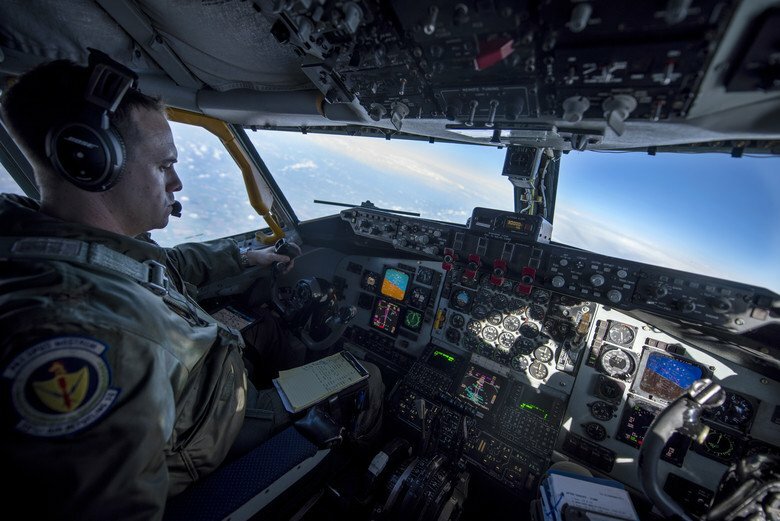 The KC-46A Pegasus connected in flight with an F-16 Fighting Falcon and a C-17 Globemaster III July 8 and July 12, respectively, as part of a testing milestone. Airmen with the 35th Fighter Wing conducted a two-day surge exercise April 4-5 with F-16 Fighting Falcons at Misawa Air Base, Japan. Hugh Jackman, star of the upcoming movie "Eddie the Eagle," received a civic leader flight in an F-16 Fighting Falcon at Naval Air Station Joint Reserve Base Fort Worth from the 301st Fighter Wing Feb. 19 in a display of Air Force Reserve combat capability and air superiority. When it comes to taking care of the F-16 Fighting Falcons at Holloman Air Force Base, aircraft structural maintenance technicians have a major responsibility. As corrosion experts, they strip and re-paint F-16 tails -- replacing Luke AFB's "LF" with Holloman's "HO." The Army Corps of Engineers, 51st Civil Engineer and 51st Operations Support Squadron completed a five-year project of constructing a new runway for Osan Air Base, South Korea, and began flying operations in January. More than 15 F-16 Fighter Falcons assigned to the 480th Fighter Squadron at Spangdahlem Air Base, Germany, are on a forward training deployment at Souda Bay, Greece, for bilateral training with the Hellenic Air Force until Feb. 15. U.S. Airmen from the 36th Fighter Squadron and Aircraft Maintenance Unit traveled to Seosan Air Base, South Korea, to participate in exercise Buddy Wing with South Korean air force personnel from the 121st Fighter Squadron, 20th Fighter Wing, from Jan. 25-29. The 3,830-pound General Electric F110-GE-100 engine and the hundreds of parts that support the turbofan system present an enormous job for the 20 Airmen responsible for rebuilding it. As a testament to the strong friendship and alliance between the U.S. and Japan, two top military leaders from both nations came together for a bilateral exchange flight here Oct. 14. The investigation into the Aug. 11 F-16C Fighting Falcon crash near Engelmannreuth in the county of Bayreuth, Germany, is currently ongoing. A U.S. Air Force F-16 Fighting Falcon assigned to the 480th Fighter Squadron from Spangdahlem Air Base, Germany, crashed Aug. 11 at approximately 9:38 a.m. near Engelmannreuth in the county of Bayreuth, Germany. Flying squadrons from Kadena Air Base were a part of a joint service exercise at Kadena Air Base, Japan, with units from the Marine Corps to practice air-to-air superiority while protecting ground troops June 30.